You'll need more than just keys and magic to escape this maze of rooms. Move the room the boy is standing in to any free space by clicking the arrow. 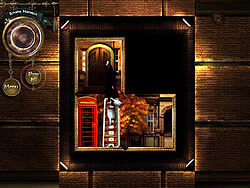 Use keys and teleporting phones to reach the room with the exit.